On 3rd of January, our ambassadors Ela & David left for a crazy adventure in Asia. Their wish is to reach India and Nepal, center of their HopTour. To do so, they really wanted to minimize the aerial transportation and rather travelled by train/bus. 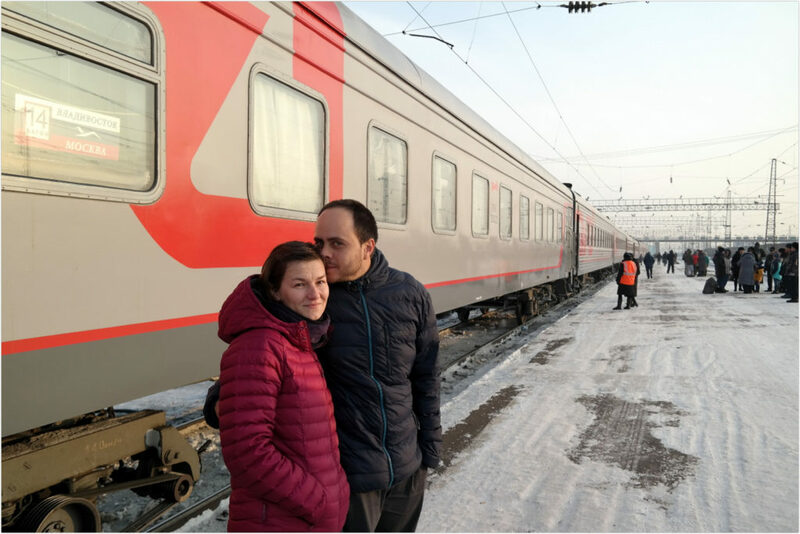 So they took the transsiberian in the middle of January on their way to Baikal lake, on their way to a better world… a one going forward, a one simple moving… They really do believe in their project that they call “Move Our World”. Do not hesitate to look at it and join them in their adventure. « We left Warsaw on 3rd of January for Russia with small stops on the road in the Baltic countries. With this strong cold wave in Europe in the beginning of the year, we did not have any choice than experience a real Russian Winter. Even if our goal is in India and Nepal, we also wanted to open our eyes to any good practices in responsible tourism on the road. 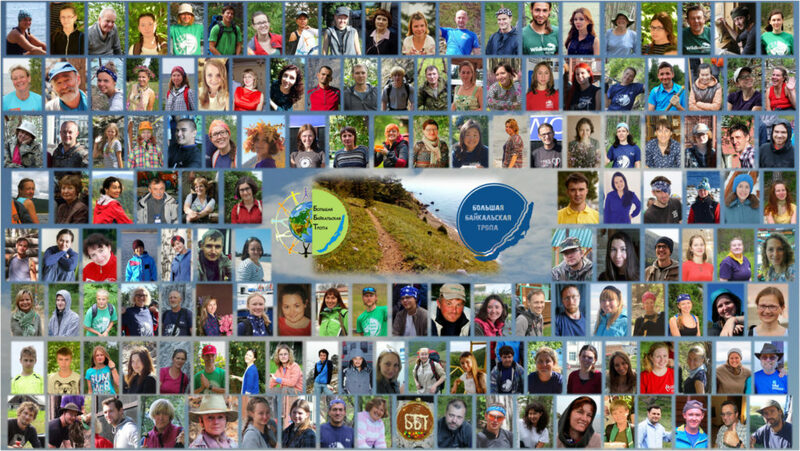 We are happy that we found out Great Baikal Trail organization. They act around Baikal Lake, the center of our Russian adventure, one of the craziest dream of Ela. This non-profit organization works for the sustainable development of the region since more than 10 years. Created by people passionate about travel and nature, the organization builds (and also realizes maintenance) trails around the lake, most probably the best way to discover how rich and unique is the biodiversity of the lake. 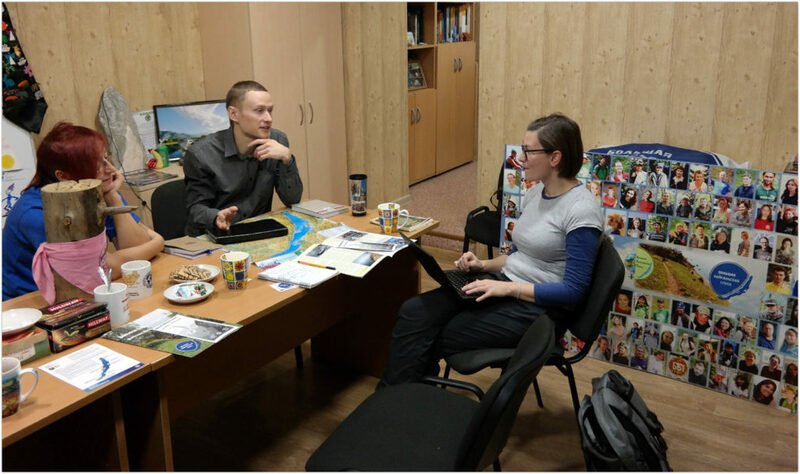 The projects are realized by a mix of international and Russian volunteers. Attention ! Baikal has unbelievable dimensions… 600km long and 70km wide… more than 2000km of coastline… In summary, a hard task ! We had the opportunity to spend an afternoon with Ela, Natasha and Roman – members of GTB team. They welcomed us very warmly and shared with Hopineo their story, successes and challenges. They even drew a piece of their future as they would like to see it. 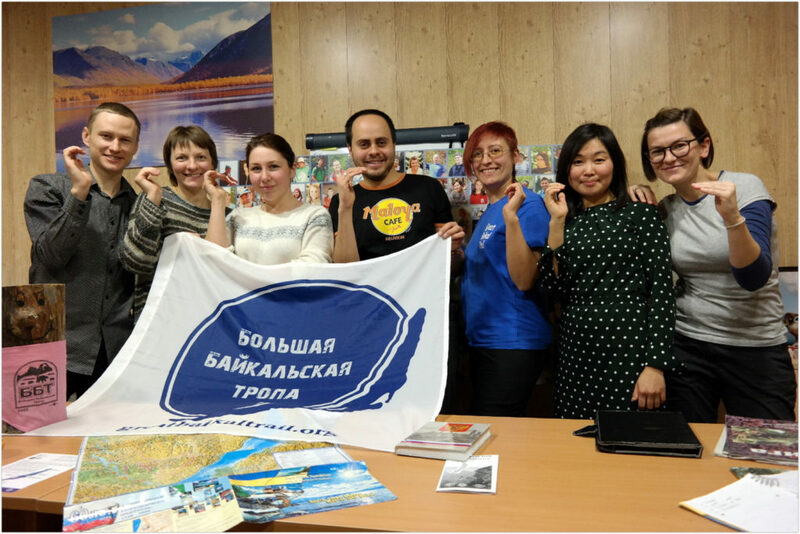 For a first meeting and exchange around responsible tourism, what a chance! We are glad to contribute in the promotion of better tourism surrounded with such energies and actions. Do not forget to follow their adventure on their blog www.moveourworld.com or on facebook. Have a safe and exciting road Ela & David!